It was downhill all the way to Tiengen, and I was glad to have all my gears again. I bought two fresh pretzels at Kussaberg and ate them right away before joining the Rhein cycle path, a gently undulating off road path with Switzerland just to the right across the river. The border was manned but no passport was required... and I carried on into Switzerland, the twelfth country my knackered old tyres had seen. I was soon swept up onto an off road cycle path but quickly lost track of where I was - the signposting was much less informative than in Germany. Several miles later I ended up in a town I managed to identify as Wil and determined that I needed to head south. I figured I might have better luck sticking to the roads but even those were quite badly signposted and I ended up resorting to the compass. The sky clouded over and turned black, but stopped short of actual rain. Roadworks at Eglisau meant a diversion, but the bicycle diversion signs appeared to direct me over the railway tracks, which also insisted that I do not cross them. Confused, I waited for another cyclist to come my way and followed the "do what that bloke does" tactic which took me straight down the road and past the works. I was in a brand new country which used a currency of which I had none, and I also had very little food. In Eglisau I hunted down a cash machine which dispensed a single giant 100CHF note. The road got busier and, although I was on cycle paths, it got distinctly less pleasant as I neared Zurich. At Kloten I decided to stop and catch the train into the city. A quick wifi stop told me all I needed to know - the bike would need its own ticket and must be loaded through the bike doors. I found the station and bought tickets. There were no departure screens telling me where to go so I went under the subway to where everybody else was standing and found a huge grid telling me which platform and sector each train would arrive on. The train was very modern inside - display screens showed the projected (and actual) time of arrival at the next few stops. 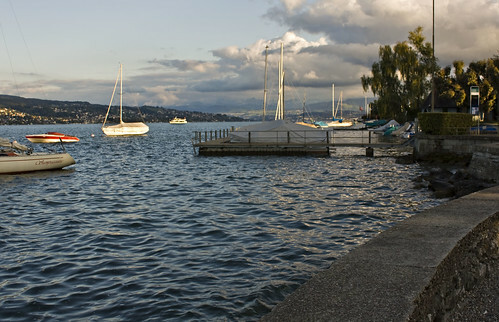 There was lots to sort out when I got to Zurich, most importantly food. I sat down at a restaurant in the station and ordered Alpen Maccarone which is not breakfast cereal with pasta, but macaroni cheese cooked with small cubes of potato, accompanied by apple sauce. This was quite a revelation - although cheese and apple are widely known to be excellent companions, I'd never had nor even heard of this particular combination. It was delicious. The bike was easily booked onto the TGV but to do the same for Eurostar meant calling a UK (0870) number. I got dgym to call the number later on but all bike space was taken on the train that I'd already booked. I had the option of either sending it separately on a later train or bagging it up and taking it as luggage. Since I had my housse with me, I decided on the latter. And so the journey home was taken care of. With such an early train to catch, I wanted to stay as close to the station as possible. I had ideas about staying in the City Backpacker hostel just round the corner, which I'd seen on wikitravel. I set out from the station with a map but put it away when I noticed three grubby backpackers heading in the same direction. I followed them all the way to the hostel but it turned out to be full. So I headed back to the tourist office at the station and enquired about city campsites and they directed me to one about fifteen minutes ride away. On the way to the campsite I was given navigational help by a lovely lady who spoke very good English (as did most people in the city). She informed me that it had been a special holiday in Zurich, Knabenschiessen (Boys Shooting Day) in which traditionally boys (but now also girls) take half a day off work to practise shooting. I got very little sleep at the campsite - church bells ringing, people talking, streetlights shining, cars passing. I planned to get up at 4am anyway so there wasn't a whole lot of point in trying. It's quite hard to pack up a tent quietly but I tried my best and left the site at 5am. It was a cold morning and my bladder woke me at precisely 6am as it had got into the habit of doing. After taking care of that, I snuggled back into the warmth of the sleeping bag and took my time over getting up properly. 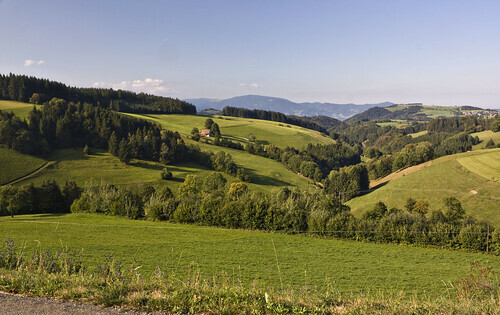 I left at 9, picked up a pretzel and some rolls at the bakery and continued to climb further into the Black Forest. I stopped to eat the pretzel at a pretty spot overlooking a valley. Close to the top of the hill I was diverted onto a cycle route leading away from the road and towards Titisee-Neustadt. The route kept me going for most of the way and all the way to Bonndorf - there were some ups, some downs and some gravelly bits. After Bonndorf the previously excellent cycle route signage was reduced somewhat. Rain had threatened earlier but never happened, but now I kept singing rain songs. "Oh now I wish it would rain down" (and trust me I am not a Phil Collins fan), "Raindrops keep falling on my head" and of course "I'm only happy when it rains" (which is definitely not true). I struggled to think of any sun songs. 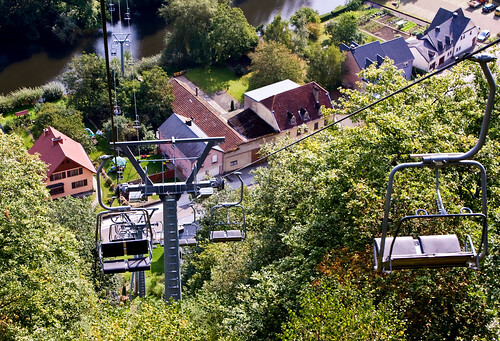 The descent started at Bonndorf. Unfortunately my front derailleur wasn't behaving - it refused to shift properly and kept springing back to the smallest chainring. Which was an annoying problem to have on what should have been a fun and fast downhill, but I'd rather that than be stuck on a large chainring on the way up! I saw a motorcycle crash on the way down. The guy was coming the other way and skidded on the corner, the bike sliding sideways and lodging under the crash barrier. He got up straight away and dusted himself down, insisting he was OK. His two friends stopped to help and there wasn't much I could do other than gawp and struggle to string a German sentence together, so I went on my way. 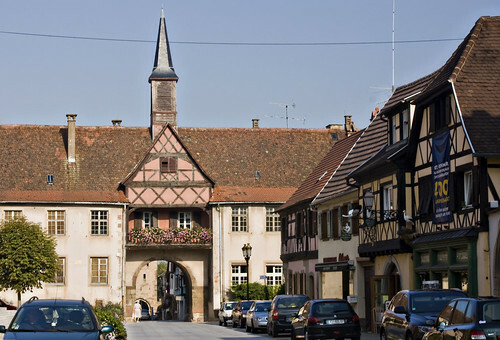 I camped near the small town of Untermettingen. Upon examining the dodgy derailleur, the problem turned out to be quite simple - a loose gear lever. 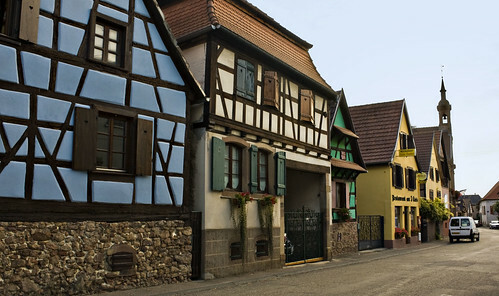 I started out from Obernai the next morning and rode through pretty towns filled with brightly coloured half timbered houses covered in flowers. 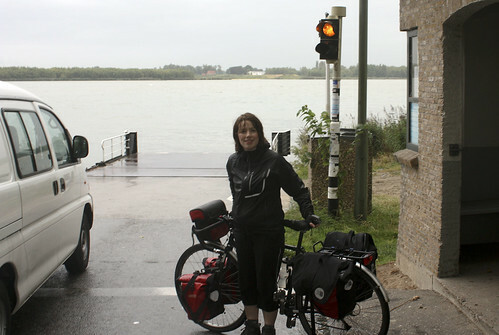 I found a well signposted cycle route alongside the Rhone-Rhine canal which led me towards the Rhine river, past a hydro electric power station and into a nature reserve on a narrow island in the middle of the river. There was nobody else on the path, which was closed to motor traffic - just me, the river and the sunshine. I'd been making excellent progress that morning but hadn't found lunch yet and was getting hungry. I tried to find somewhere to eat in Kenzingen but everywhere seemed closed or deserted. 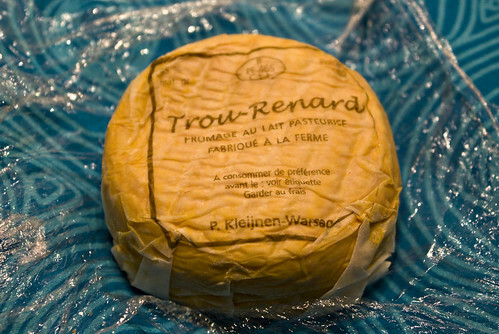 Lidl saved the day and I picked up some German camembert, more kiwis, a yoghurt and a bag of crisps. 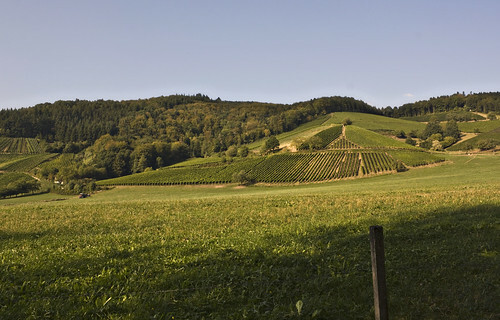 I found a picnic spot just outside Emmendingen and discovered that the crisps tasted exactly like peanut butter. 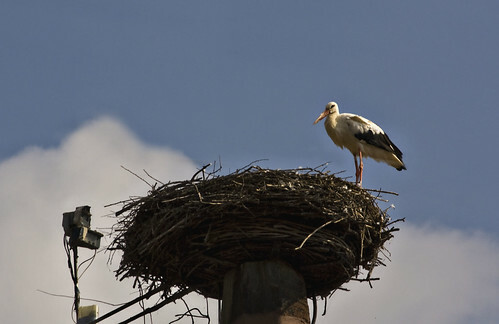 More canals led me to Denzingen where the town stork was nesting on the church roof. 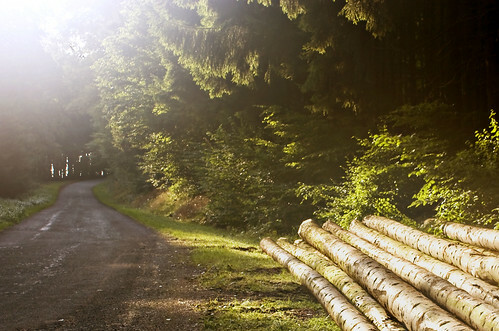 The Black Forest was close now. The cycle route signage had been excellent all day but I was expecting it to disappear as soon as the serious hills started. It didn't seem like it'd be worth anybody's while to provide dedicated cycle facilities in the mountains. Surely not enough people would want to ride there? It turned out I was quite wrong. 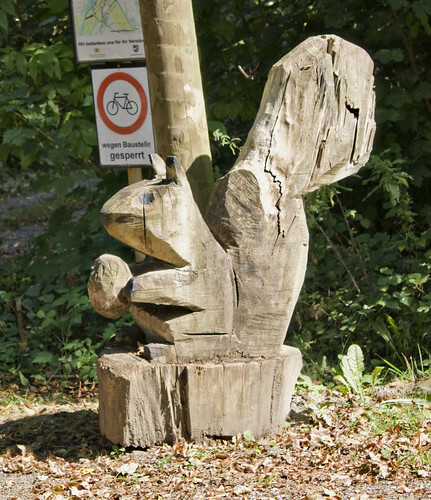 I left Denzingen and continued to follow the signs (or so I thought) along the road and onto some narrow paths. The paths started to twist quite steeply up the hill. I saw no more cycle route signs. Pedestrians and horse riders passed me, but no cyclists. I arrived at a junction, giving me the choice between a sandy stony track going straight on or a more paved route twisting around to the left. I stopped, unable to figure out where I was until I flagged down a car and asked in my best shaky German whether I was going the right way for Glottertal. The driver seemed to say yes so I carried on up the track. 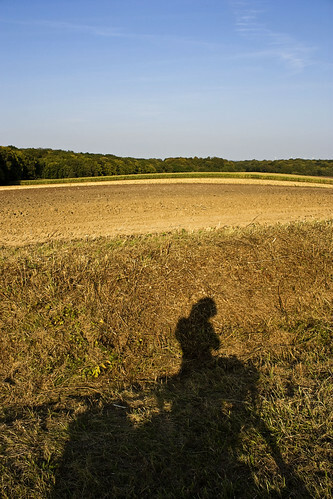 It got steeper and I got off to push until I reached a lookout overlooking the fields below. A mountain biker had stopped there for a rest and offered routing advice when he noticed my bike. Apparently the path I was on was about to turn into technical single track. I'd taken a wrong turn, something my instinct had been trying to tell me for the last twenty minutes. He pointed out the road below and once I got back down the hill I picked up the cycle route again easily and reached Glottertal. Now I started to worry about accommodation - it was Saturday again. There was a campsite further up (in the vertical sense) but I felt happy to stop in Glottertal and get a room. I found a pension with a "zimmer frei" but they only had a triple room - the owner tried calling around some other places but all were full. So I carried on to the campsite, which was 10km away but about 400m up. The cycle route signs warned of a 6% gradient - certainly nothing I can't handle. And so I found a good rhythm and kept pedaling. The sun was on its way down, casting long light onto the hills. I grinned at cyclists flying past in the opposite direction - envious but wanting to share in their sheer joy. 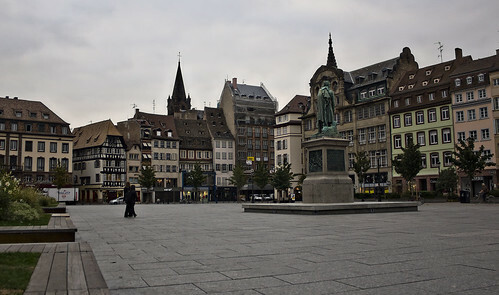 I left my bike locked up in Obernai and caught the bus into Strasbourg at dawn. I'd asked for two nights at the campsite to give me the opportunity to take a day off cycling and spend some time seeing what I considered to be one of the highlights of the trip. And so, hoping to get some nice early morning light in the city, I left the tent when it was still dark and crept away to the bus stop. We arrived just after dawn - unfortunately my early light plans didn't work out as it turned into an very cloudy morning. I bought a pain au chocolat and sat down in Place Kleber, watching a family of cute baby sparrows playing in one of the flower beds. I was still hungry after that so bought a pretzel. 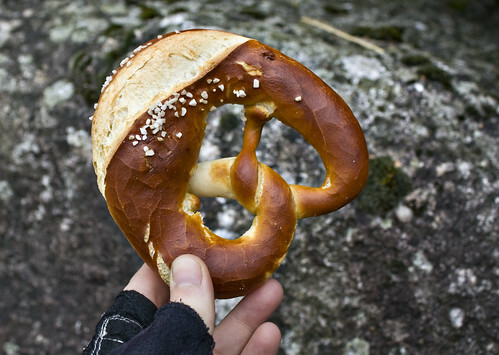 I'd never had a real pretzel before (i.e. bread, not the little snacky cracker things) and this was the beginning of a beautiful new relationship between me and my twisty salt-encrusted doughy little friends. 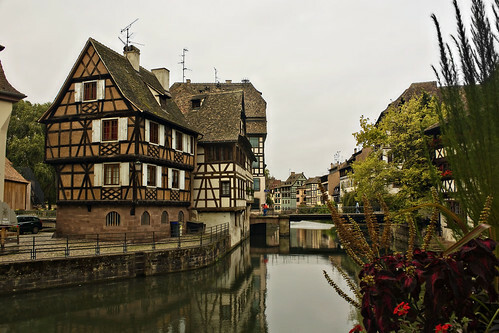 After a little wandering, I found the best bit - well, one of them anyway, the picturesque Petit France quarter consisting of stunning half timbered buildings overlooking the river. 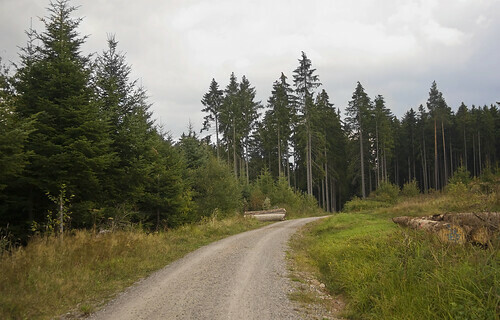 I bought some oil for the bike and spent an hour at an internet cafe, investigating train routes home and possible paths across the Black Forest. 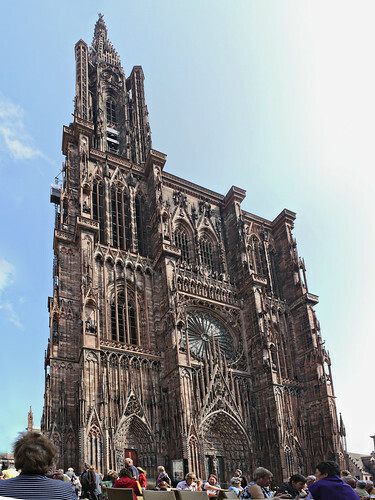 After that I located the cathedral, an incredibly ornate building. 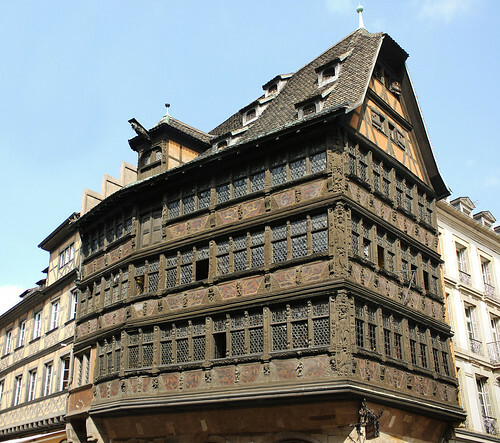 And beside it, the almost impossibly beautiful Maison Kammerzell. Strasbourg is a popular cycling city and has plenty of lanes and parking facilities - my feet were sore from walking by the end of the day and I half wished I'd brought my bike into town, but it did make a nice change to have a day out of the saddle. ... and then headed back to the campsite. Back at the tent, I started to pay some attention to my bike. It had started squeaking over the last couple of days so clearly needed an oil... but upon examining the rear sprockets I realised how gunked up it really was. I spent a good couple of hours that evening scraping solid rubbery black gunk off the sprockets, chain and derailleurs and really wishing I'd bothered to clean it before leaving. The other thing I noticed was just how knackered the tyres were. The front was full of holes and the tread on the rear was almost non-existent. The last time I'd changed them was over three years ago, in Germany. I calculated that I'd ridden in eleven countries on those tyres, over unknown thousands of miles. I picked small stones out of the holes and planned to replace them when I got home. I had been studying the map and come up with a nice wiggly green (i.e. 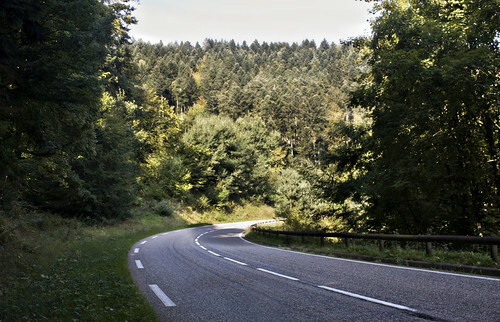 scenic) route along a foresty road through the Vosges mountains, via Dabo. The road was flat at first then started to gently climb, with signs towards the Plan Incline. This is one of those things I didn't really understand at the time but now that I've got back and done a bit of reading, sounds quite interesting and makes me wish I'd stopped off to take a closer look. The Saint-Louis-Arzviller Inclined Plane is a clever lifting mechanism for getting ships up the mountain canal route as a quicker alternative to multiple locks. After a long hot climb, I reached the town of Dabo. The sun was high in the sky and it was getting a little hot for comfort so I stopped in the shady town square, placing the solar panel in a patch of sun - despite all the sunshine, it still wasn't gathering enough energy to keep my phone going. A group of Canadian cyclists on lovely lightweight racing bikes stopped to say hello - they were staying nearby and enjoying the sunshine on the last day of their holiday. Further climbing out of Dabo led me up the Col de Valsberg to La Hoube then over the departement border and onto a lovely long descent down into Alsace. At Romanswiller I picked up a cycle path which ran along a disused railway line and a canal. I passed several other cyclists and walkers, and the signposting was quite good until I reached Molsheim and it disappeared. Motorways and major roads met just south of Molsheim and I couldn't pick out a good route on the map to get past all that. A local cyclist stopped to offer help and invited me to follow him through a maze of back streets, eventually leading to a bridge over the motorway and back out into the countryside. 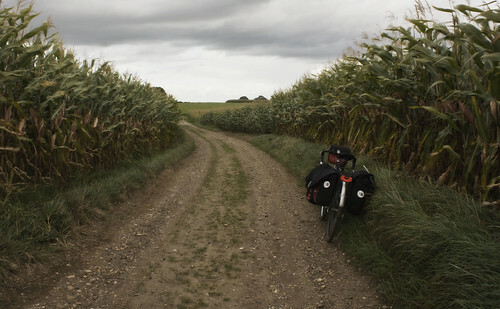 I thanked him and he left me on tiny lanes among cornfields, the cycle route to Obernai now clearly signposted. I gathered some speed and then, not really looking where I was going, hit a rather steep speed bump at 20mph, jarring my arms quite badly - which hurt, but no real damage. I lost the cycle route briefly in the pretty town of Rosheim but the tourist office put me back on track. The tent was even wetter than usual when I woke up at Burtoncourt. I walked down to the lake to take some photos of the sunrise and then spent a long time trying to dry out the tent and not making a very good job of it. I'd been really bad at eating properly over the last couple of days - there had been fewer cafes so boulangeries had provided both lunch and dinner, and I was getting a little bit fed up with bread. Today was no better. It was a long day - I set my sights on a distant town with a campsite and went for it, choosing to put in the miles rather than divert into a town and seek out some decent lunch. 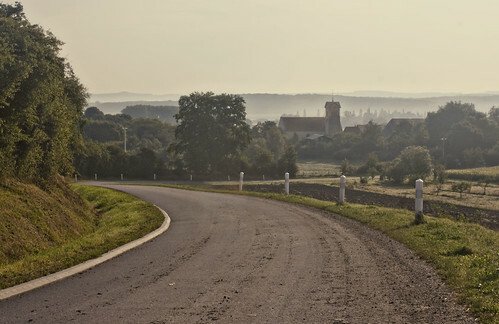 I cycled across misty farmland and through the towns of Boulay Moselle and Boucheporn. 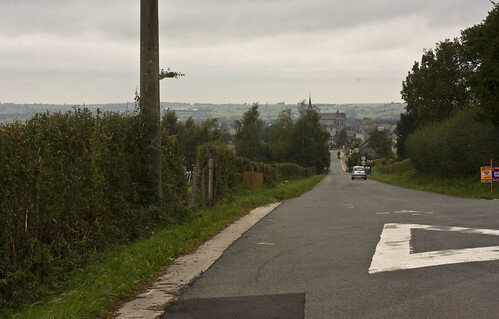 At Longeville I bought a baguette and a small quiche, then got on the N-road to St Avold, for want of a better route. One of the things they don't tell you about cycle touring (and this probably also applies to backpacking and other such forms of travel) is the crap music that gets stuck in your head. I attribute this to two things - firstly, the terrible music they play in cafes and other public places, and secondly the lack of my own source of music to wipe away the bad stuff. After nine days on the road, my head was mostly full of Lily Allen singing "It's not fair, it's really not ok, it's really not ok" over and over and over and it was very, very annoying. I figured I had to get something decent but catchy into my head so started to hum catchy but enjoyable classics such as 99 Red Balloons and The Final Countdown. Beyond St Avold stood a handwritten sign pointing to Biding, which was a village I was hoping to pass through. 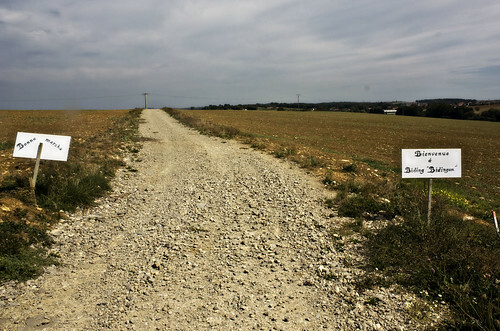 The sign pointed down a slightly stony track, so I set off on another off road jaunt along bumpy ground between fields. I reached Biding after a couple of miles, unconvinced that that had been the road marked on the map but having enjoyed it nonetheless. Further down the road, signs pointed me to Munster which boasted of both its church and limonaderie. I'm not really fussed for churches but it had turned into a hot day and I was soon daydreaming about cool lemony drinks. I arrived at Munster hot and thirsty and ready to drink a gallon of the stuff. 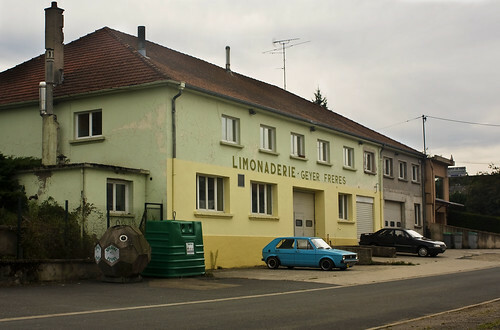 I found the limonaderie but nowhere to buy the lemonade, and left as thirsty as I'd arrived. Monday September 8th - Loo roll! The church bells rang at 4am in Rosport. In continental Europe you get used to bells ringing at 6am or sunrise, but at 4 it was still very dark and I'm not sure what sane person would need or want to hear church bells at that time. At a slightly more sane hour I set out into another damp and hazy morning, continuing along the river valley. 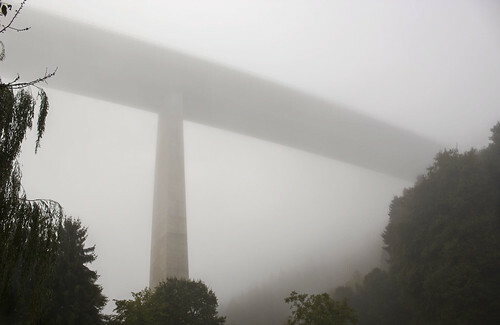 A few miles down the road, a huge structure loomed out of the mist above me - it was the motorway passing high above the valley, supported by enormouse concrete columns. I've never seen a motorway look so beautiful! At Wasserbillig, I left the bike path for a while to pick up some goodies in the town. 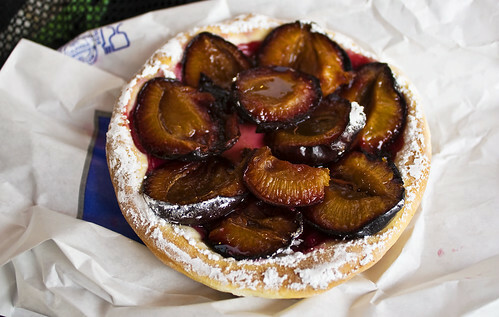 I bought the world's tastiest plum tart and some bread from the bakery, a couple of chicken legs and, triumphantly, some loo roll. I've never been so happy to see toilet paper! After spending quite a lot of time in the town I decided to put in some real miles before lunch. The road was flat so it was easy to set small targets - for example, getting to 25 miles by 11:30am. The cycle path disappeared for a while and became a red strip at the side of the road. 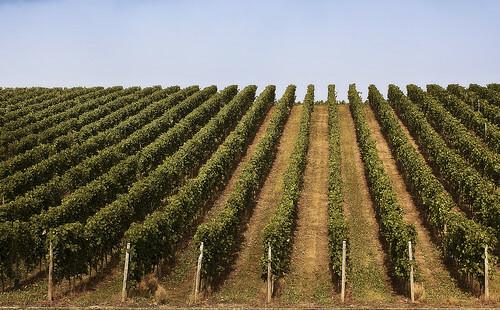 Vineyards became the dominant scenery, and the sun burned away the mist. The Our river flowed into the Moselle and the valley widened out a little. I reached the 30 mile mark a few miles short of the French border and stopped for a chicken sandwich and to hang my washing on the back of the bike. I arrived in Schengen, home to all good shared border agreements, shortly after that. There's probably a good reason for the choice of Schengen for that particular treaty - it stands close to the meeting point of three countries. 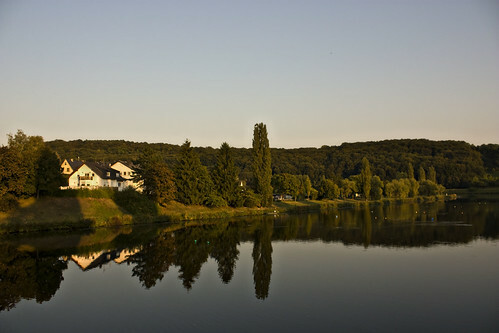 In the space of a couple of minutes I left Luxembourg, crossed the bridge to Germany and turned the corner into France. A small model of the Eiffel tower marked my passage into France. The cycle path vanished in the town of Apach and all of a sudden fast lorries and cars were whooshing past my shoulder. Then I remembered the first rule of cycling on N roads in France - don't! I dug out my trusty Michelin atlas pages to plan a nice D-route. Things got hilly that afternoon. I huffed and puffed my way up a tiny little road, across open farmland and through tiny villages in which stood numerous closed and abandoned cafes. It also happened to get very hot, which was nice but also meant a lot of sweat and a lot of suncream. I reached Bouzonville, a reasonably sized town which didn't appear to have any accommodation but at least had a boulangerie where I was able to buy food and water, and a tabac whose owner directed me to the nearest campsite. I double checked outside by Googling the place on my phone. I hope that doesn't seem like a rude or mistrustful thing to do. 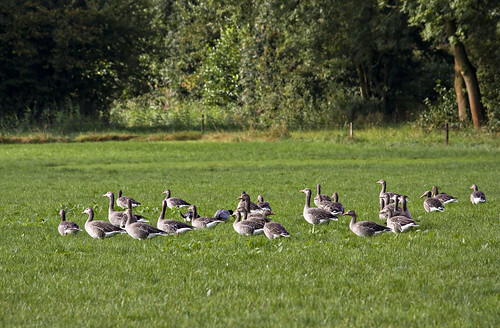 I've been sent on a few wild goose chases before, usually unintentional I'm sure - and whereas locals are normally an excellent source of general information about what's in the area, I don't expect the average person to keep a working and up to date knowledge of campsite opening dates and finer details. However, it looked as if the campsite existed and was open so I headed off in that direction. 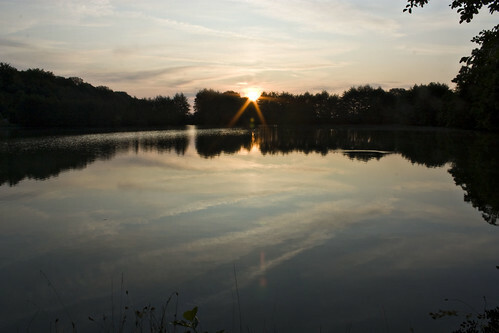 An hour later, the sun was getting low in the sky when I reached the campsite, a pretty place beside a lake near the small village of Burtoncourt. It was good to pay single digit prices for camping again! The bell on the level crossing at Wilwerwiltz woke me straight away when the trains started nice and early on Sunday morning. The tent felt damp, it was cold and I was cosy in my sleeping bag. I put my hat on for extra warmth and fell asleep again. Since entering Luxembourg I hadn't been able to get mobile signal, so hadn't been able to contact Dgym the previous night. I knew he'd be worried so I got up at 7 to set off in search of some means of communication. It was misty again - the sun was already starting to poke through, but despite my best drying efforts (soaking up moisture with awesome microfibre towel and then wringing it out) I left with a damp and heavy tent. I started out along a quiet road which at first followed the valley of a small stream but then turned away and climbed steadily. At the top of the hill I stopped for a wee and used up the last of the loo roll. Luxembourg, I had discovered, is one of those countries (like France) where you are expected to bring your own, and I hadn't packed much. 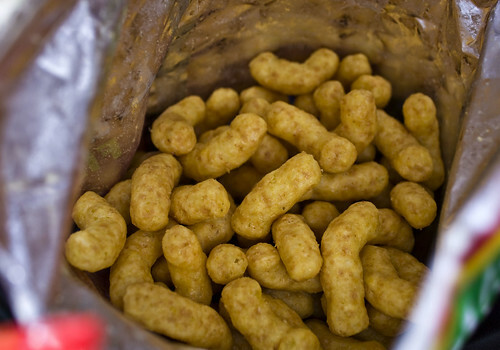 I was also running low on food supplies - I had a single biscuit, some liquorice and half a stinky cheese. There had been very few open shops or cafes so far. I got hungry and ate the final biscuit. 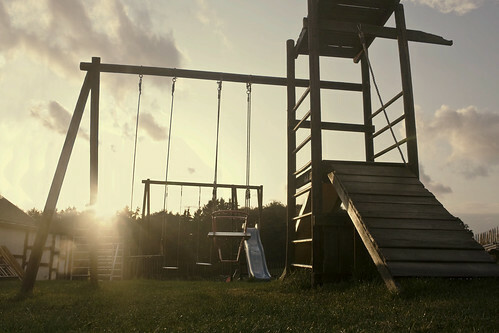 But at least it was a lovely sunny day at last. Hooray! I carried on through small villages, aiming for the Our river. 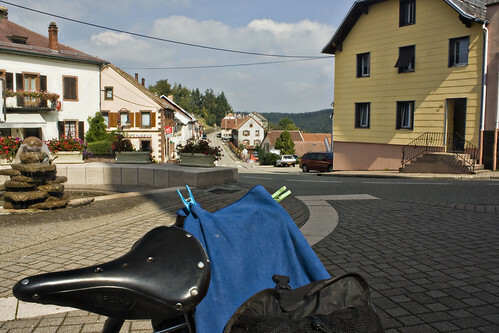 At Stolzembourg I descended into the valley on a road signed as 17% gradient. The Michelin map claimed 4-7% and, worshipful as I am of their French maps, I started to wonder about the quality of their Luxembourg data. Vianden was a pleasant tourist town overlooked by a huge castle set in forest a couple of hundred metres up the side of the valley. A chairlift extended over the town and up through the pine trees. I've only ever been up chairlifts on skis and snowboards (For a while I was even slightly terrified of them after my first ever ski chairlift ride involved a slightly late exit and a bit more jumping than strictly necessary) so thought I'd try a pedestrian experience. I parked up at the bottom - there were bike carriers but it didn't seem like a good idea with so many panniers. In the cafe at the top I had a plate of chips and admired the panoramic view over the valley, then went for a short walk through the woods and took a curious peek at the alternative route down - a zipwire traversing back and forth through the trees. Heading out of Vianden, I picked up some more snacky cakes at the service station, and a packet of spaghetti as an emergency dinner option. A bit further down the road I found long distance cycle route number 3, which would lead me along the Our river and the German border, all the way to France. The route turned out to be excellent. 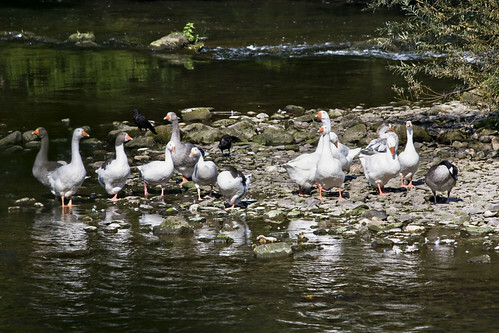 Sometimes on road, but mostly as a separate lane, and sometimes beside the road, but often leading away from it to peaceful riverside tracks passing under shady trees and past flocks of wading geese. The path often passed right through campsites and the distance to the next town was frequently labelled. A few miles before Echternach I found a usable wifi network measuring about two meters square. Taking care to remain in that tiny area, I IM-chatted with dgym for a while - yes, he had been a bit worried. I was starting to enjoy things but still not feeling like spending a month away - we agreed that I should come back after two weeks away. In Echternach I searched the town centre for cash and toilet paper. Cash was easy to find. Toilet paper was more evasive. I'm pretty sure it should be easy to find in a nation which is unwilling to provide it in public toilets. I left empty handed, having to improvise with paper napkins from cafes. I did, however, manage to find my old friend the Eiscafe, featuring all the favourites - Spaghetti Eis, Pizza Eis, etc, and had a cone of freezy coffee flavoured deliciousness. 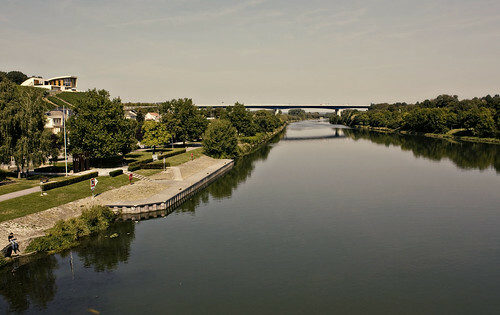 I stopped to camp at Rosport, a small town on the river, just across the bridge from the German town of Ralingen. Not actually wanting buttered spaghetti for dinner (so far that day I'd eaten chips, ice cream and biscuits) I set off in search of nice food. An Asian restaurant in the town looked good - menu outside, opened at 6... except when I tried to go in there at 6:30, the door wouldn't open. Then I noticed the cobwebs around the door, the yellowed newspapers stuffed in the letterbox around the side and the hole in one of the windows. It didn't look as if anybody had been in there for quite a while. Perhaps I didn't want to eat there after all.... There was nothing else suitable in the town so I crossed to the German side and found an open restaurant serving lovely big schnitzel, chips and salad. I awoke to hotel breakfast at 7am, which was a huge and very tasty feast of pastries, breads, jams, yoghurt, two poached eggs, assorted charcuterie, orange juice and tea. I left absolutely stuffed. 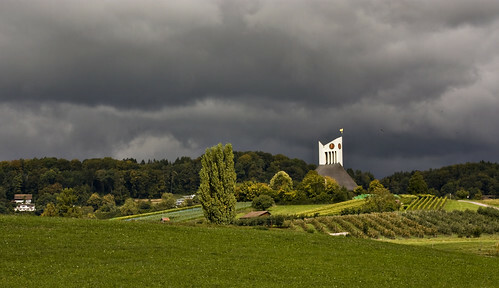 I headed out of Malmedy towards St Vith and it quickly became clear it was one of those days. The ones where it feels like you're carrying an extra bag of rocks but you can't figure out why. (although looking back, it may have been breakfast related). It also happened to be uphill, not an easy start to the day. It was a cold misty one - well, more like a cold white cloud blanket. It almost felt like the kind of cloud that gives way to snow (but not cold enough). I held out hope that it was one of those mists where the sun breaks through and it all goes away but it took two hours for that to happen, it didn't last long and the air remained cold. I arrived at St Vith and realised I was into German speaking territory. But that's OK - I can just about cope with simple German. I stopped at a bakery, pointed at a tasty looking chocolatey pastry thing and asked what it was. She replied to the effect that it was some kind of chocolatey pastry thing. Yum. 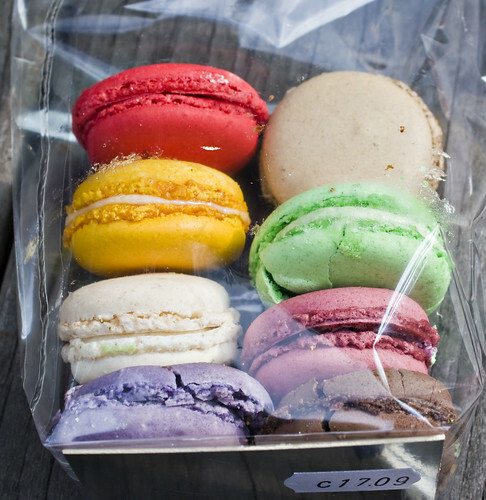 I asked for one, but somehow she took that to mean I wanted six and started to fill a large paper bag with pastry after delicious pastry. I attempted to correct the mistake "Nein, nein, ich mochte EIN, nicht sechs" (or something like that) but she took 'one' to mean 'one more' and I ended up with seven. Again I tried to ask for just one but ended up with yet another. I had eight chocolate pastries, and my German wasn't good enough to explain the error. Fortunately another customer saw the problem, explained to the assistant and I left with my single pastry. After St Vith the N-road I was following got a lot busier and there was no cycle path. I took the turn off to Thommen and a pleasant detour via Burg-Reuland and the Ouren valley. 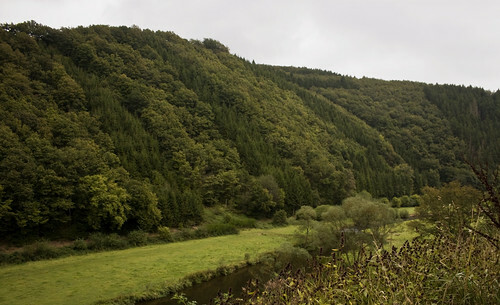 The valley delayed my entry into Luxembourg ever so slightly but it was worth it for the quiet roads, lush forests and pancake house, and since I have developed a strict policy of never looking a pancake house in the mouth, it was compulsory to stop. I ate my sugar & butter pancake in Belgium with Germany just across the Our river to my left and Luxembourg about a kilometre to the right. I started a long hard climb out of the valley towards the border. It was only a single gradient arrow on my Michelin map, which is normally fine, (4-7%) but it seemed a lot steeper than that. A pack of roadies passed me on the way up and I wondered whether, to an outside observer, it looked as if i was with them and carrying all their stuff! I had to stop several times and, although they were lighter and faster, I could see it was tough on them too. Apart from maybe the guy who turned around at the top of the hill, rode back down and overtook me for a second time. At the top I passed an EU flag by a church- that may have been the border but it wasn't clear. 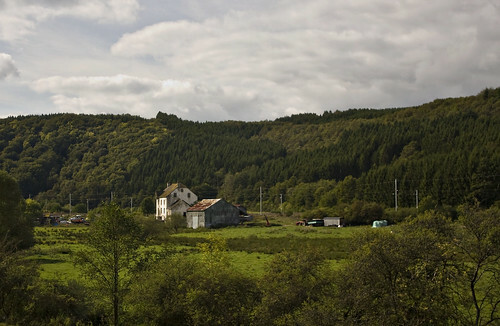 I carried on towards Clervaux. The landscape seemed quite English in many ways - hilly with grassy fields, cows grazing, some arable land with rolls of hay, dots of forest here and there, but a lot more wind turbines. 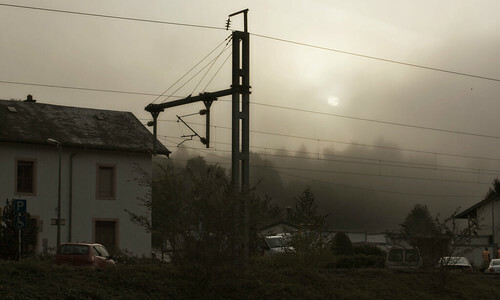 Doubts about the trip re-entered my mind at Clervaux, mostly due to being both cold and frustrated with my own lack of fitness. Clervaux had a railway station which I considered using, but decided I wasn't prepared to give up just yet. My third-day blues had extended well beyond the third day but I was determined to shake them off and give it at least a week. I carried on up the hill out of town and over into the Clerve valley. The valley was relatively flat, as valleys often are, and in my frustration I found some power in my thighs and made good progress to Wilwerwiltz where I camped by the river and ate bread, stinky cheese, herring salad and kiwi for dinner. After packing away, filling my bottles and receiving some directions from Jean, I was on my way, feeling somewhat refreshed - well, from the shoulders upwards anyway. 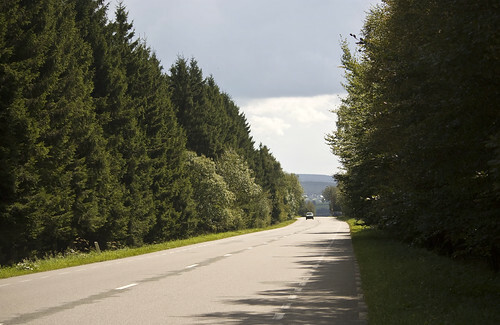 I was into the Ardennes now, real hills, and my legs were having difficulty. I'd trained for this trip as much as I had for any other - i.e. barely at all. In Clermont, a pretty village with a gatehouse, I rattled along cobblestone streets - if anything was going to reboot my brain it was that. Further south, in the town of Limbourg, I picked up a couple of rather disappointing and slightly stale pains au chocolat (french-speaking country but not french-baking). After Limbourg, I faced a long (although not particularly steep) climb, passing on the way up a hydroelectric station, empty moorland and pine forests. The scenery was making the climb worthwhile - Jean had advised well on my route. I reached the observation point of Baraque Michel at an altitude of 625m and stopped for hot chocolate and an omelette. It was all downhill after that, a beautiful long sweeping foresty descent down to Malmedy, passing ski stations on the way down. Malmedy looked nice and the map didn't show a campsite at a suitable distance so I visited the tourist office and found a room for the night. This also allowed me the opportunity to go shopping and find a lovely Michelin 1:150k map of Luxembourg, which was not far off. I purchased some picnicky food for dinner, among which was a super-stinky cheese that made everything smell faintly cheesy for the next few days, and probably warranted its own pannier. I got to sleep really early at Valkenburg but was woken at 2am by people talking outside the tent. I stuck my earphones in (even when not plugged into anything they're quite effective noise blockers) and fell asleep again. On Thursday evening I wasn't sure whether I'd be riding the next day - Valkenburg had seemed like a good place to stop and take a day's rest, but the night's disturbance had convinced me to move on. However, I still had shopping to do - I was running out of cash and needed a decent map and some AA batteries for emergency phone charging (still very little luck with the Solio). I found cash, and a half decent map at the campsite shop, but no batteries. Valkenburg was great for restaurants but useless for most other things. I left Valkenburg around midday and set out into dark, cold cloudiness which did not promise a good afternoon. The wind had died down but that just meant there was nothing to blow the bad weather away. Before long I was entertaining thoughts of abandoning the crappy Northern European weather system and getting myself down to Sardinia for some sunshine cycling. I stopped at a bakery and bought a really horrible cheese pastry and a mediocre apricot one. The skies opened, it pissed down with rain and left me absolutely soaked. 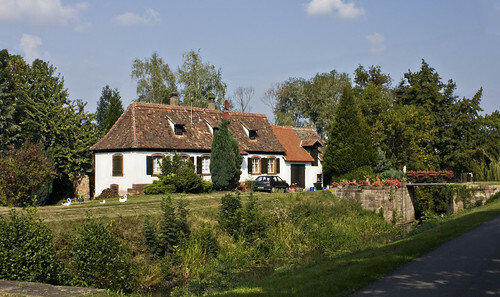 I stopped at a guest house in the border town of Noorbeek for some lunch. Their tomato soup was good and I asked whether they had rooms available, but they were full. I left, disappointed but a bit drier and at least the rain had stopped. The only way I could find going southwards out of town was a tiny road that quickly turned into stony track and occasionally light mud, winding between fields of cows and horses. I was pretty sure it would lead me towards Belgium, but there were no signs. Clearly they didn't want people escaping the Netherlands. The track eventually met up with a paved and marked cycle path, numbered in the Belgian scheme and displaying the Belgian bike sign (the bike looks less like a Dutch bike and more like mine!) The path led to a road, again with very little useful signposting, so once again it was just me and the compass. I reached Aubel at 4:30 - typically, the tourist office had already closed and there was no sign of any hotel, only signs pointing to two lodgings out of town. I followed the signs and was led several km towards Julemont. The first, an auberge, showed no sign of life. Outside the second, La Bushaye, I spotted three cyclists who I recognised from a pack of roadies that had passed me earlier. I wandered around looking for the owner and eventually a blonde woman came out to greet me. I asked her in French whether there was room - no they didn't, but we quickly established that since she was Dutch and I was English, we really ought to speak English. She suggested a couple of towns where I might be able to find a room but they were all several kilometres in the wrong direction and, it being Friday and getting late, I was starting to really not fancy my chances of finding much. I'd had a bit of a miserable day and probably looked like I needed a bit of kindness and bless this lovely lady, she offered me a spot to pitch my tent on the grass beside a small coop of very shy chickens. Before I knew it the woman, Raissa, and her little girl (aged about two I think) were helping put my tent up, and her husband Jean was offering me a portion of the meal he was cooking for the other guests. It turned out they were hosting fourteen of the cyclists - a crowd of them passed by just as I finished putting up the tent. One asked whether I was planning on sleeping alone in there, and I was offered a place in numerous different beds. Um, thanks but no thanks. Dinner was pasta with tomatoes, followed by saltimbocca and then creme brulee - all were excellent. I also managed to squeeze in a bit of internet access and USB charging courtesy of the computer there. It seemed almost too good to be true that these lovely kind people were there to help me when I was tired and fed up. I went to bed feeling a good deal happier and very well looked after. I was woken at some unknown time in the middle of the night by wind and rain beating the outside of the tent. I snuggled down into my sleeping bag, glad that it was still dark and therefore I didn't have to get up yet - there was a chance the weather would improve by morning. It was still grey and a bit rainy when I woke again at six - and packed very slowly, waiting in the tent and hoping things would brighten up a bit. Breakfast was bread and butter - on previous trips I would make porridge each morning while packing up but, despite carrying stove and fuel, I was yet to actually cook anything this time round. I'd spent the last couple of days getting hot food in cafes at lunchtime and eating picnic-style dinners, in the hope that this would be a great idea and I wouldn't have to endure my horrible camp cooking ever again. I finally left at about half past eight during a dry spell. I was nearing the narrow southern tip of the Netherlands now, and crossed briefly in and out of Belgium during the course of the morning. It was while in Belgium that I spotted a bakery and, enticed by its delicious smell, pulled over and noticed a bread vending machine outside (empty, presumably because they were open). I am all for vending machines that sell things other than the usual chocolatey / fizzy rubbish. My personal favourite was an inner tube vending machine in Austria, but I was pretty pleased to find bread available at all hours. Rock on Belgium! The Netherlands is only a few miles wide at that point and, after crossing back from Belgium, it wasn't long before I was close to the German border. I didn't manage to actually find the border, but stopped for lunch at a coffee house nearby. Another habit I was getting into was hot chocolate. I don't usually drink it, all that hot liquid sugariness goes straight to my head and I get the whole sugar high / crash / headache thing - but hot liquid sugariness is just perfect half way through a day's cycling under a damp cloudy sky. Further south I entered the sprawling urban landscapes of Sittard / Geleen, two cities which failed to capture my imagination with what I saw of them - but the weather was deteriorating by that point, and very few cities actually look good in the rain. I saw my first hill on the way out of Geleen, and climbed my first shortly after that, although they were still only tiny hills by pretty much any other country's standards. Finally I got back into the countryside and spotted a left turn to Valkenburg. I wanted to go to Valkenburg but the route looked to be in the wrong direction so there was some hesitation and checking of maps and compasses before deciding that a break from traffic would be a good idea, and hurtling off down the stony track between cornfields, the wind on my back for a change. The route didn't last long but it was the highlight of my day! I soon found myself back on the road, beside some roadworks, with no idea where I was or where to go. The wind had really picked up and was making it very hard to use the map (OK, GPS wins a point there). I wasn't sure whether I should be heading off down the newly laid cycle path that ran through the roadworks - the signs were confusing - but I eventually did when I saw some other bloke do it. It turned out to be roughly in the right direction and I was soon at Valkenburg. Valkenburg turned out to be a pretty (and quite touristy) town with an old castle and city walls, and the town campsite was quite pleasantly situated on a hill overlooking the castle ruins. I was finding Dutch camping prices to be particularly high, and this was no exception - 17.50 euro for the night (I'd normally consider £10 expensive). Since there were lots of places to eat in town I went for a beer and schnitzel. It may not be cheap in the Netherlands but the portions are usually of a good size and they know how to lay on the carbs - my schnitzel came with both chips and rice! 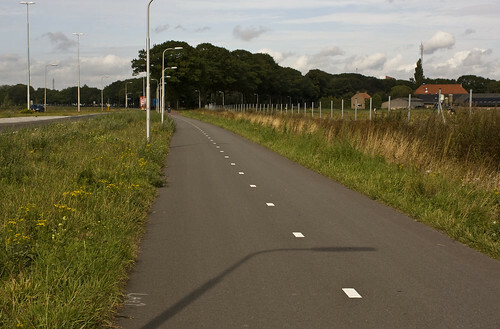 On Wednesday I set off into sunshine, with lovely straight, wide, smooth cycle paths running down each side of the road. I started to rely more on the compass than on maps and signs, and it did me well. I arrived in Eindhoven at about 4pm and started hunting down Cool Blue, aka gpsshop, to pick up an iGotu GT-200. The GT-200 is a small GPS logging device which can also double up as an external Bluetooth GPS receiver for a phone. I'm not a big fan of navigating by GPS - I don't need the extra battery drain and like using paper maps. But I liked the idea of having this little device quietly logging my journey - it's often hard to remember the precise route when I get home and want to draw a map of the trip (even more so in places like the Netherlands in which I often don't even know my location at the time). And, should I get truly lost, it would be a handy replacement for the Nokia built-in GPS receiver which is really quite pants. (Unfortunately, on this trip I don't think I ever managed to give the GT-200 quite enough charge to start working and remained clueless as to the meanings of all the different LED combinations until I got home). 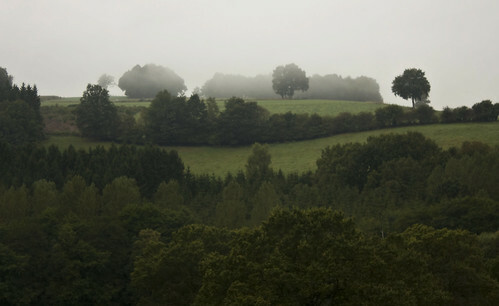 South of Eindhoven, the flat farmland faded away into gently sloping pine forests. Close to Leende I stopped at a junction, unsure of which way to go. 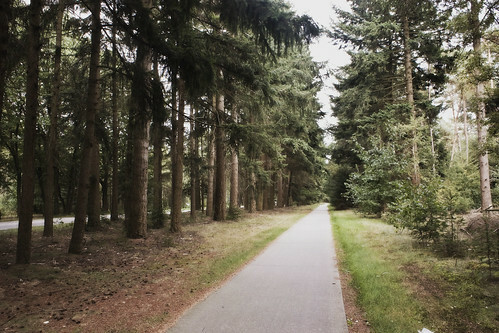 Dedicated cycle paths headed both left and right through the woods. Should I go left towards Heeze, where a campsite was marked on my map? Or go right, i.e. south east, the direction I am generally headed in, and find another campsite a little further down? While weighing up this decision I noticed the third option and the only one that really mattered - the sign pointing straight on towards a pannenkoekenhuis (pancake house). Pannenkoekenhuis De Clown is the kind of place I can get on with - or would consider giving it all up and camping next to for the rest of my life. They offer one hundred and ninety different varieties of delicious tasty pancake. I ordered chocolate and banana and was not disappointed. 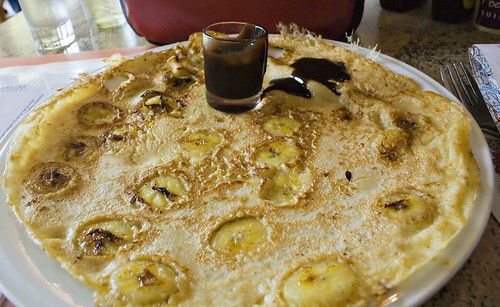 I am very impressed with the Dutch dedication to pancakes, as am I with the embeddedness of the banana. A lady sitting nearby had a pancake topped with strawberries and fresh cream which also looked fantastic. Stuffed full of chocolatey banana-y goodness I waddled out of De Clown and got back on my bike. With a little directional help from a cafe owner further down the road I located a small farm campsite close to Leende, where I also found an abundance of mains sockets in the washroom. I hadn't been able to gather a lot of sunshine with the Solio over the past two days so it was good to be able to charge it overnight. The boat was due to arrive at 7:45 but I'd forgotten the time zone change so, what with the wake up call being an hour before arrival, I was effectively up at 5:45am. Ouch. Fortunately the weather smiled upon us as we arrived at Hook of Holland and I cycled off into a beautiful sunny morning, which cast the industrial lands around Rotterdam in a far more flattering light than the last time I visited. It was good to be back on Dutch cycle paths and the signposts guided me easily along the waterfront past wind turbines, docks and factories. Before long I was feeling thoroughly spoiled to have such lovely paths to ride on. Having right of way when crossing side roads, not having the path come to an abrupt end half way along a busy trunk road... those are things that I could quite happily get used to, but had better not - the UK is a long way off from this. Dutch cycle paths aren't perfect of course - on our previous trip we got lost quite a lot and often encountered some quite bumpy surfaces. The roads and cycle paths were being dug up in Vlaardingen, and with no sign of any diversion being signposted it came down to common sense and a compass (And a bit of Google maps). 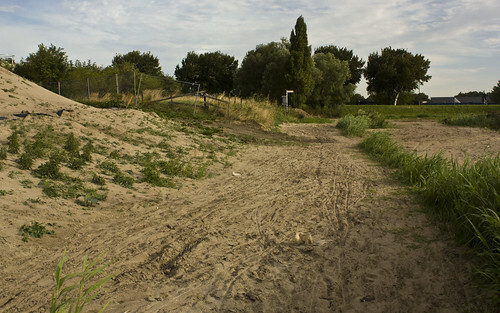 Just before I reached Rotterdam, the path turned into a huge sandpit, forcing me to get off and push for a couple of hundred metres. It had been raining lightly since mid-morning and I stopped in Dordrecht for some shelter and a cheesy pancake. I popped into a book shop to consider getting some proper maps of the cycle paths but at 8 euros each and not covering a huge area, it seemed a bit expensive so I didn't. (I was carrying the same two maps we used in 2006 - a Michelin 1:400K that shows no cycle routes at all, and a fairly useless Benelux cycle map, which shows only the major LF routes and large towns and cities). The afternoon might have gone a little better if I'd made that investment. More water stood in my way after Dordrecht, this time crossed by ferry. I stopped and chatted to a couple of truck drivers while waiting for the boat, one of them kindly offered to take my photo. See? It had definitely turned into a bit of a damp day. 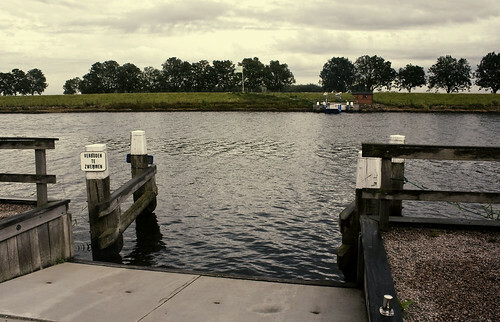 The ferry took me into the national park of the Biesbosch, a lovely peaceful area with very few houses and a mixture of woodland, farmland and lakes. I saw herons, and discovered that 300 geese taking flight all at once make the most awesome noise. 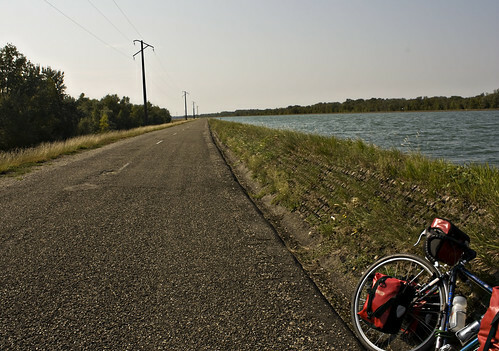 The dedicated bike path came to an abrupt stop by the river at Pontje Steur. There was a bell on my side of the river and the world's tiniest ferry was on the other. The ferryman came out of his little hut, waved to indicate he had seen me, and set out across the 40-50m of water that separated us. The ferry was only a couple of metres wide, just enough to take a couple of bicycles or a few people. It got sunny again towards the end of the day but I got very lost trying to get out of the Biesbosch park - my lack of decent map was not helping, nor were my efforts to follow the LF12 cycle route, which was not exactly direct, and as evening approached I started to need direct. Eventually I found a little board showing cycle routes, and discovered that I had made little progress and was in danger of going round in circles. It was good to see a map and get my bearings back and I soon reached a small town called Hank on the edge of the park, with a campsite nearby.